August has come and gone before our very eyes. We are still in shock that September is here which means that Halloween, Thanksgiving, and our wedding are just around the corner! That being said, August was a great month for food and we ate some absolute awesome things! So let’s get started shall we? 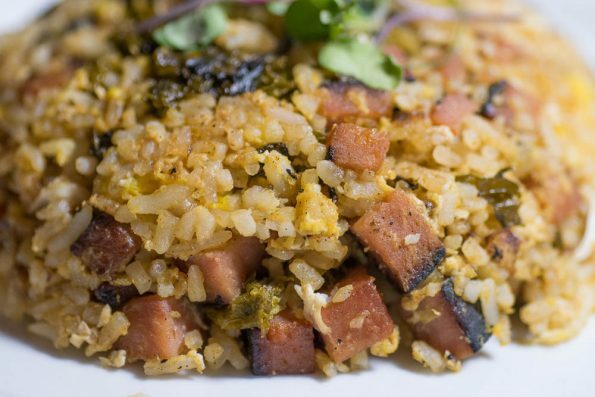 Spam Fried Rice at Market Street Kitchen– When we visited Market Street Kitchen for Tiki Thursday we didn’t know what amazingness was in store for us. Not only were the drinks fantastic but the food was as well. The scene stealer however, was the Spam Fried Rice! Salty and delicious, it is the perfect accompaniment for a tiki drink! 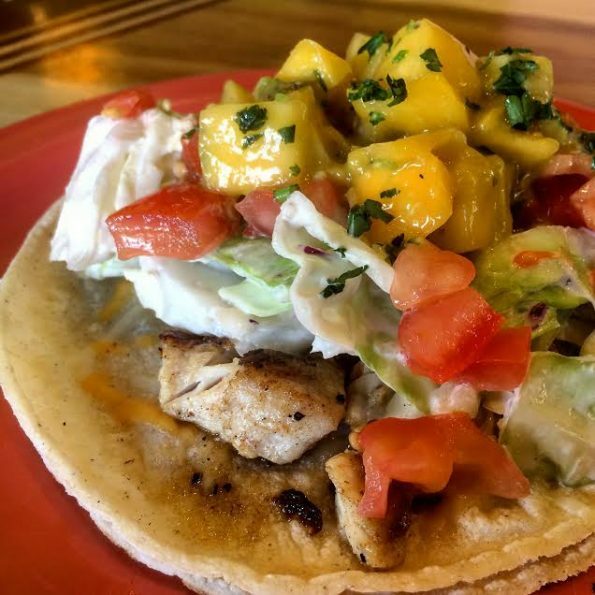 Fish Tacos at Coconut’s Fish Cafe– Zagat isn’t lying when they say Coconut’s Fish Cafe has some of the best fish tacos around! We stopped in there on a whim while working on our Poke Round Up and immediately fell in love. We know tacos (they’re kind of our thing) and these tacos were out of this world good! Even the tortillas were mind blowing! 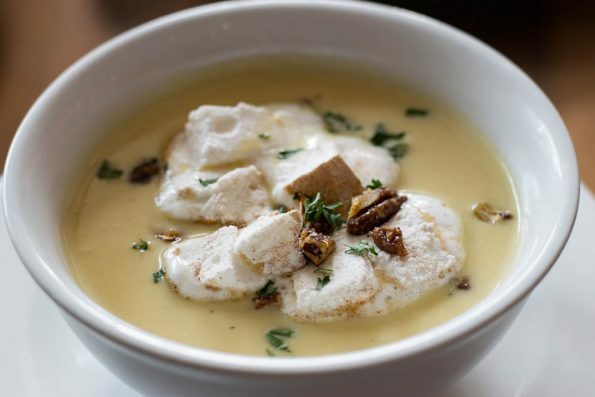 Roasted Acorn Squash Soup at Hotel Valley Ho’s Cafe ZuZu– During our Arizona Restaurant Week media preview we had the opportunity to try this life changing soup. How can a soup be life changing? Well here’s the thing, you’d expect this soup to be sweet. However, its not! It is creamy, dreamy, and savory! Many people at the event said it was like “Thanksgiving in a bowl”. 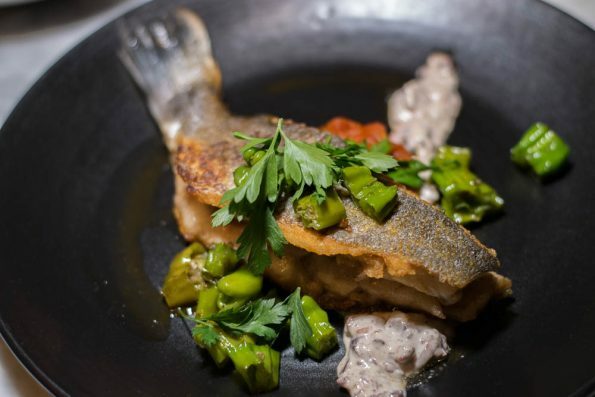 Pan Roasted Branzino at T. Cook’s at The Royal Palms Resort– Another gem from our Arizona Restaurant Week media preview, this crispy skinned fish was just stellar. Cooked to perfection, this is worth the trip to T. Cook’s alone! As we said in our initial post, anyone who can cook fish that perfectly has won our hearts. TWC Dry Rub Wings at The Wing Counter– We recently visited The Wing Counter (full write up coming soon) and were blown away by how delicious these wings were. 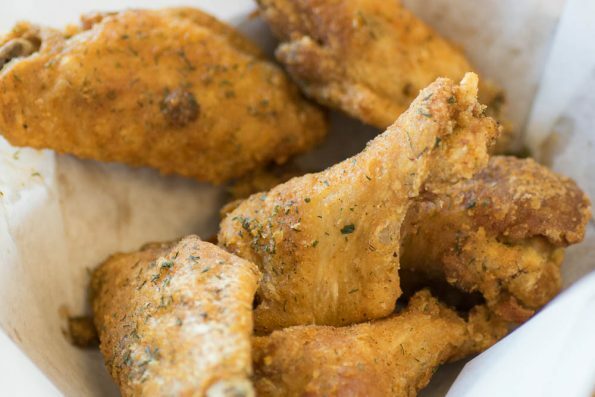 We’ve all had good wings but rarely do you find GREAT wings. The seasoning blend on these wings is outrageously good with dill being front and center. We couldn’t get enough of them! There we have it! Another month of amazingly delicious food! Where did you eat in August that you that you just absolutely adored? We want to hear all about it! Leave a comment below or use the hash tag #GeekEats. Maybe your recommendation will make next month’s list! Until then, Happy Eating!